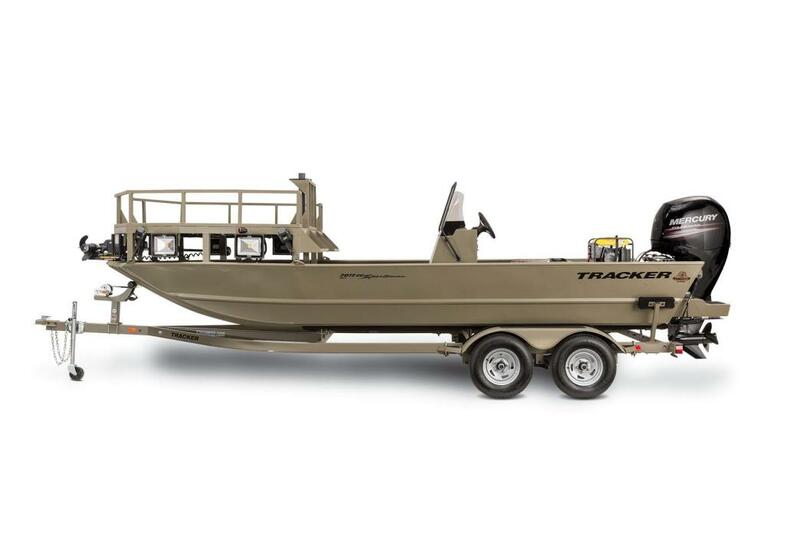 2016 Tracker Boats Grizzly 2072 MVX Sportsman, A rugged monster built for bowfishing, the GRIZZLY® 2072 MVX Sportsman is big, stable, all-welded, center console aluminum boat for hunting fish on the river, bayou, or lake. 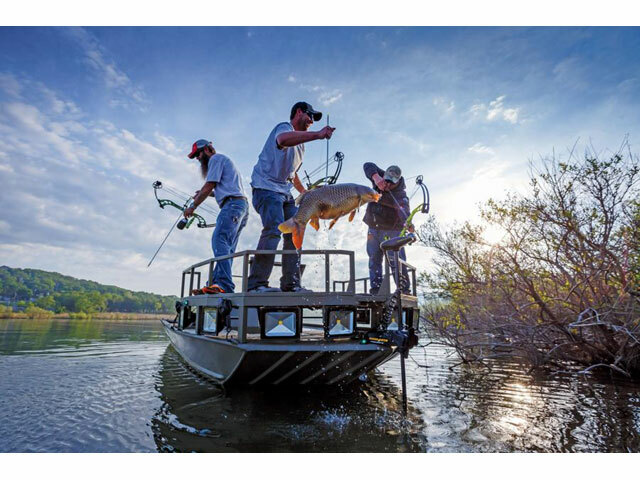 The removable, elevated deck gets you up high for more accurate targeting with a bow and less deflection for your arrow-and 8 super-bright LEDs illuminate your quarry with 40,000 lumens. And with the deck removed, it makes an excellent craft for any type of fishing, even in bigger lakes and bays. An onboard generator and 3 Interstate batteries keep you on the water all through the night, and there are 2 big storage boxes for bows and gear. Plus, the hull, stringer, floor, and transom are unitized by precision welds to create a rock-solid boat that's backed by the best factory warranty in aluminum boats.